In August 2014 NICE (National Institute for Health and Care Excellence) published its 500th piece of Interventional Procedures guidance and sought to look at and question whether their procedural policies, which focus on patient safety outcomes, have made a significant impact on patient care? An interventional procedure relates only to those NHS procedures used for diagnosis or treatment involving making a cut, gaining access to a body cavity (eg endoscopy) or when using x-rays. For many various procedures NICE guidance has been prepared to try to ensure their safety, assess whether it works well enough for routine use and whether special arrangements for patient consent are required. This system aids the responsible introduction for new treatments and tests, as well as monitoring existing systems. Ensuring patient safety must surely be a top priority in the provision of NHS services. 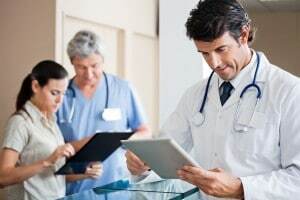 Not only does this go to providing reassurance and trust for patients in their healthcare providers, but in turn it should also significantly reduce the incidence of medical negligence events. Having effective and tested systems of care can often reduce the opportunity for human clinical errors and “never events” occurring. To try to avoid these events occurring again, in 2002 NICE introduced the Interventional Procedures Programme, to ensure that all new procedures are introduced in a safe and effective manner, with the overall aim of reducing patient harm. What difference has this programme made? There doesn’t appear to have been a formalised audit of this NICE programme, so we cannot say with clarity what difference it has made to the reduction of patient harm, or indeed in turn a reduction in medical negligence claims. NICE have however provided clear examples of how this programme has made an impact on improvement in patient care. One example relates to the introduction of cooling treatments for babies who have suffered oxygen starvation at birth and who are at risk of a brain injury and the development of cerebral palsy and neonatal death. The NICE guidance was adopted by Cambridge University Hospitals NHS Foundation Trust, leading to an increase in babies reaching their target temperature safely and winning them the Shared Learning Award 2012. The above is only one example of the excellent work done by NICE in the introduction and promotion of patient safety measures. It would appear whether and how individual NHS Trusts adopt the guidance is still discretionary, which would appear a missed opportunity to ensure parity of safe patient care across the NHS. At the Clinical Negligence Team we see the awful consequences for patients and their families when clinical care goes wrong as a result of medical negligence. This procedural system must surely have gone a long way in avoiding harm to patients and it’s hoped their recommendations will be adopted and reviewed by Trusts across the UK to further improve patient care.